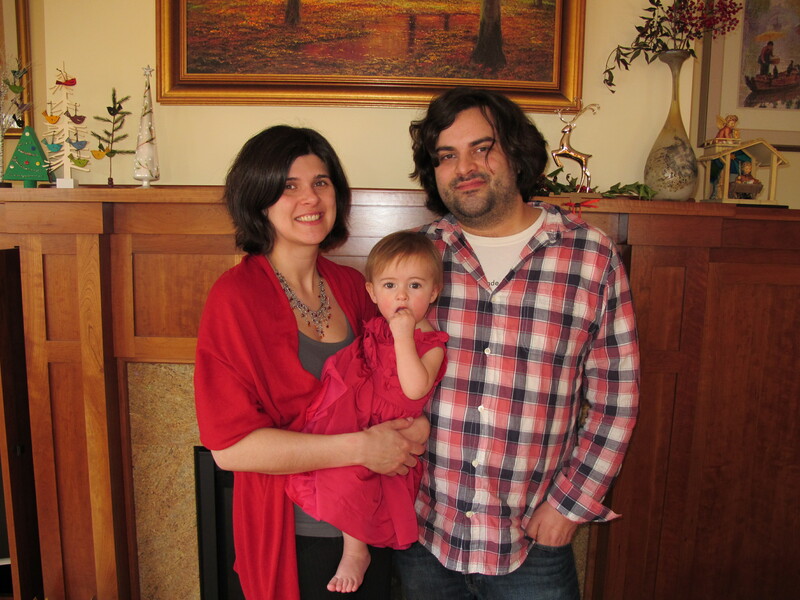 Hi, I live in South Minneapolis with my husband Alec and our five month old daughter, Lucy. I am currently finishing up my masters degree at Bethel University; I will be done this summer. 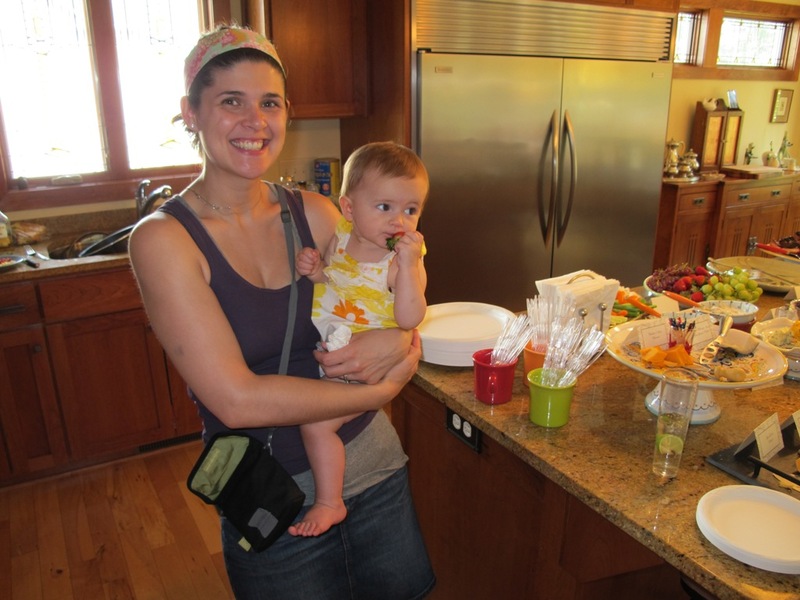 In my free time I enjoy reading, writing, art, baking, traveling, and spending time with friends and family. The recipe is British so if you want to try it, you will need a food scale. Otherwise, just to save you a google search, sultanas are raisins. Maybe you knew that, I certainly didn’t. 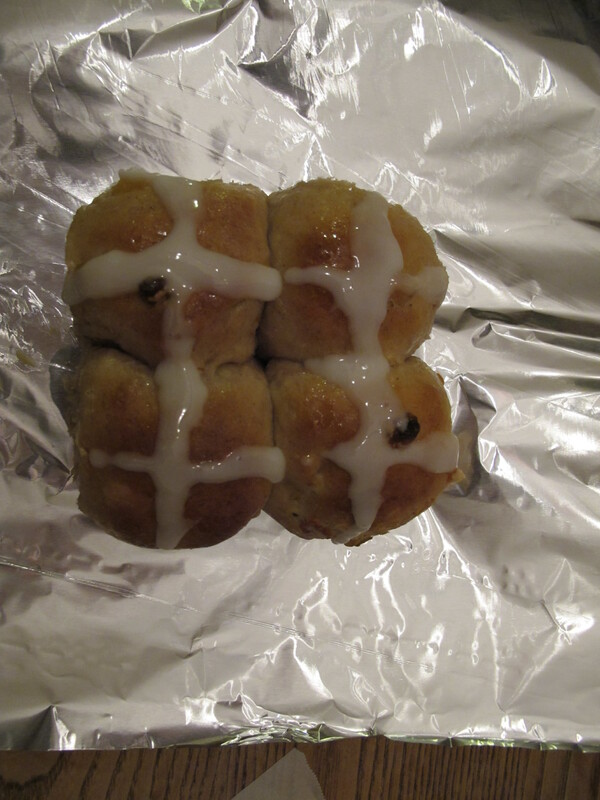 But this is a great recipe, the only change I made was making the crosses on the buns from a powdered sugar glaze instead of flour. I put that on after they had cooled a bit. Try to eat these guys while they are still warm, but 10 seconds in the microwave works too. The recipe is quite labor intensive as a warning. Also this method of making candied citrus peel works fabulous. Yesterday was our third anniversary. We had a lovely evening at the Bachelor Farmer. It was a wonderful restaurant! I had been wanting to go there for probably a year. I made reservations three weeks in advance for a Wednesday night, and I still didn’t get my first choice of time. All that being said, the food was amazing. The wine was delicious. The decor is so Minnesota, it is hilarious but still classy. It isn’t a cheap date, but well worth it. I am going to try and recreate their beet (yes beet) tartar on Easter. I will post pictures if it is successful. So it has been about a year since I last posted. 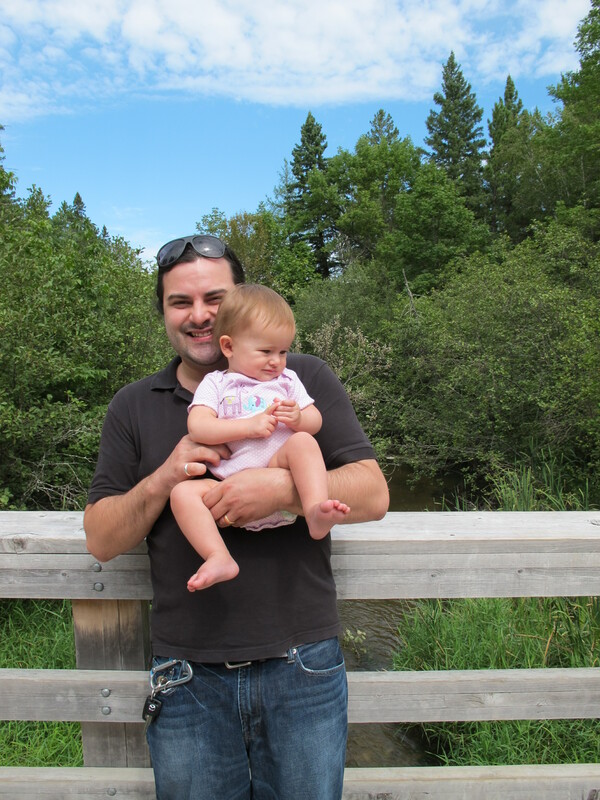 I no longer have any readership; however, I am going to try my best to start blogging again. A lot has changed in the last year. I am a doctoral student at Luther Seminary in St. Paul. Lucy is big now. 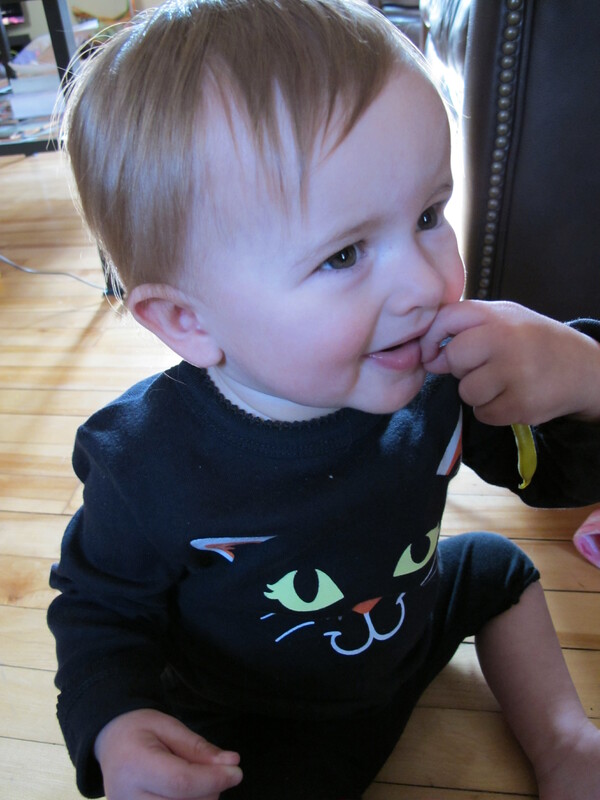 Seriously, I can’t believe how big she has gotten. I still love baking, but I have had to cut down on it for a number of reasons: I am in school; eating cakes all the time is not good for one’s figure, the list could go on and on. I will be back to posting recipes though. I am on a health kick at the moment, so there will be more meals with lentils and whole grains than ever before! In addition to recipes, I plan to do book reviews, posts about life as a doctoral student, posts about history, and whatever else I feel like I suppose. My goal is two posts a week. Wish me luck! So I haven’t posted in three months. We went through a bit of a phase where Lucy tried to destroy my computer every time I was on it. 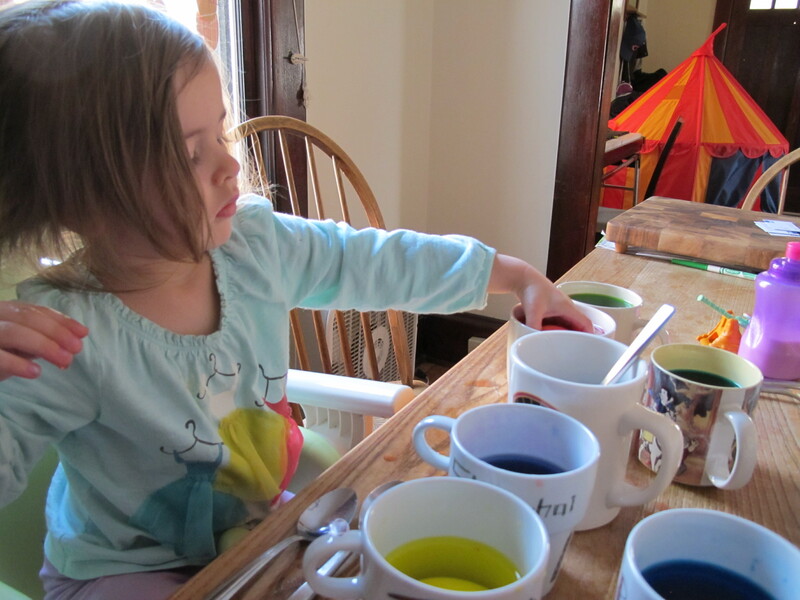 She is getting better, and I am less tired, so I think I will start posting again. Here are a few things that have happened in the last few months. And that is about it. Just kidding, but those are a few highlights. So, I have the best intentions of being better about posting. Expect recipes, photos, book reviews, and maybe even some special features in the days and weeks to come. Until then, stay warm. Because it is actually cold now. And snowing. 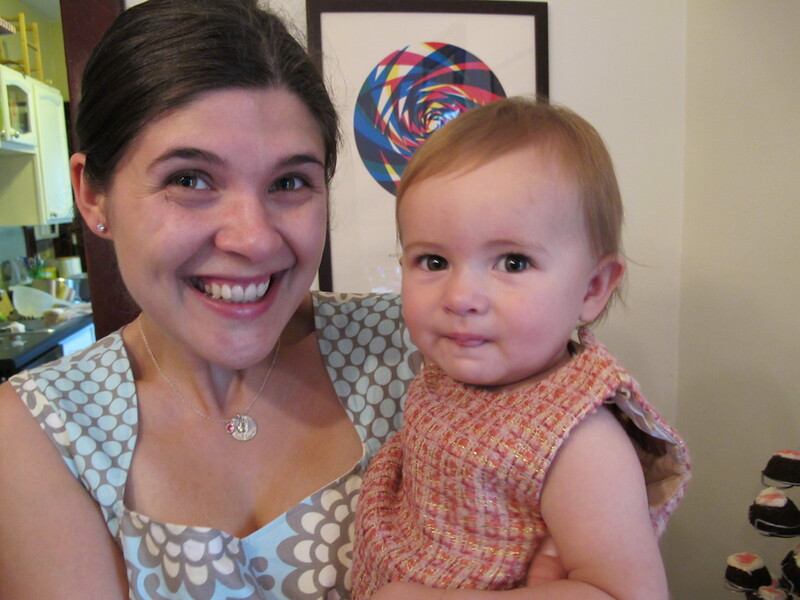 I cannot believe that it has been a year since Lucy was born. 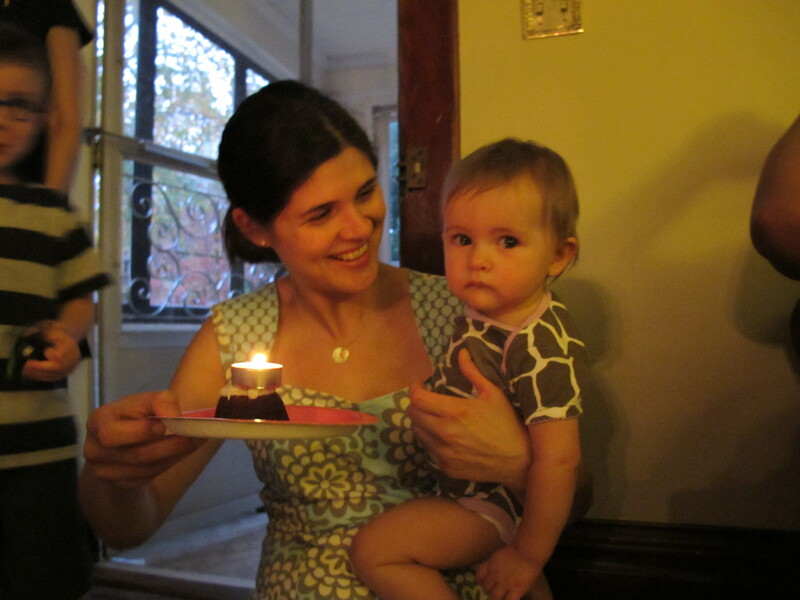 In celebration, we had a big birthday party for her. 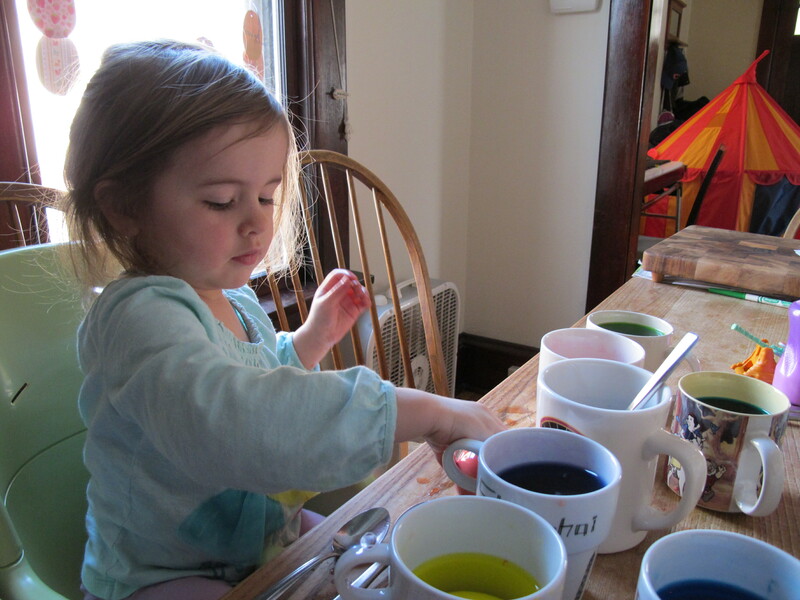 She had a blast, and so did everyone else. 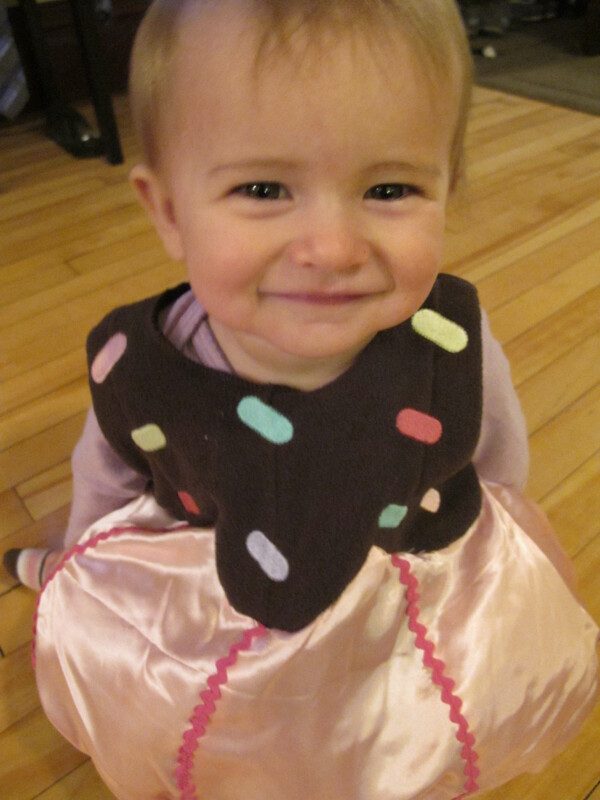 For the week before her birthday I was slowly covering the house in pink. To be honest, some of the decorations are still up because I think they are cute. Here is a picture of Lucy helping me get ready. 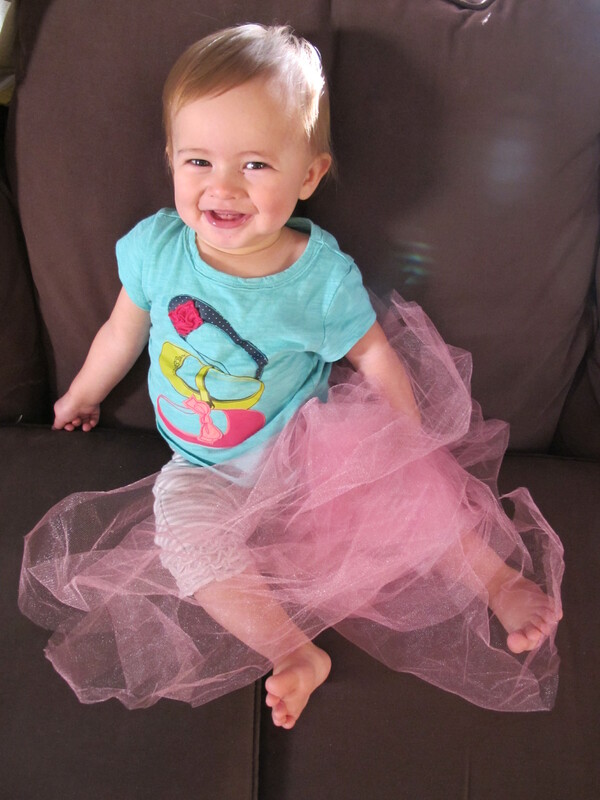 She was a fan of the pink tulle. 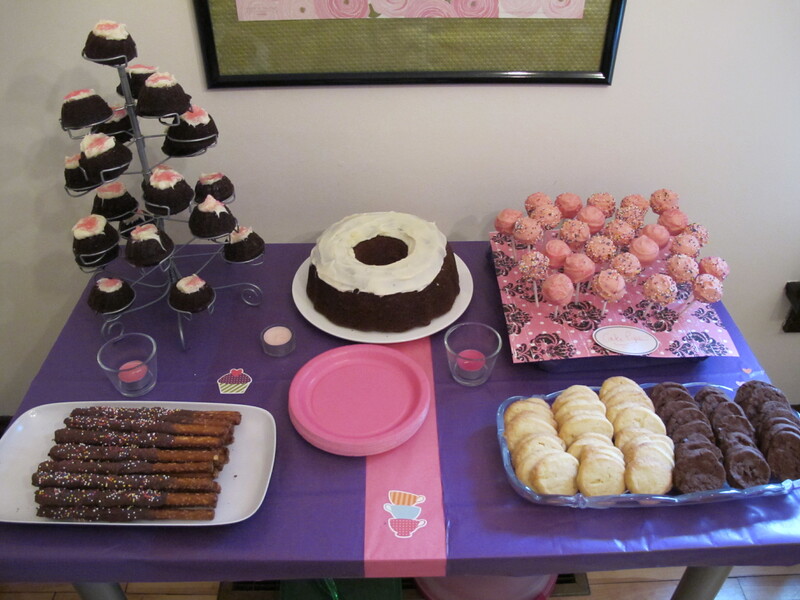 I made more desserts than necessary too. I actually asked Alec if it was enough. 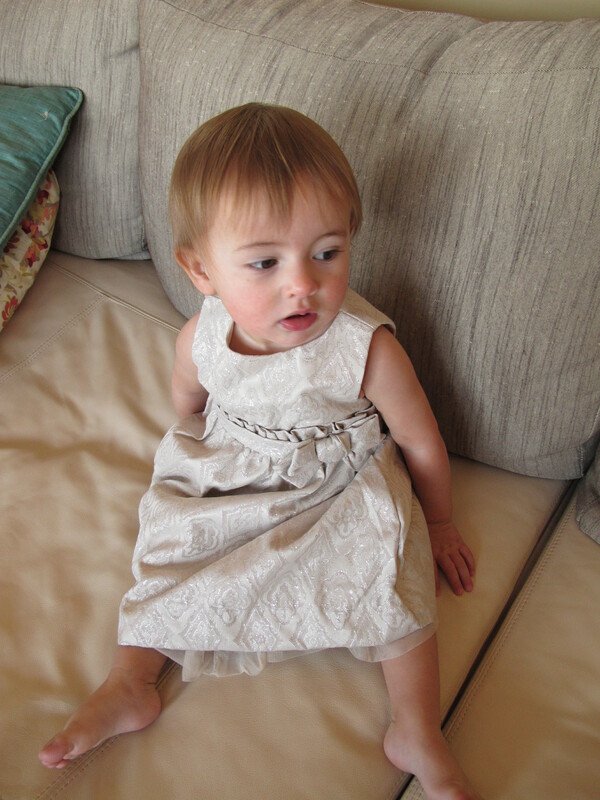 Somewhere during the evening it became very apparent that Lucy did not like her dress, so I grabbed her giraffe onsies, and things were looking up. I also forgot to buy birthday candles, so that is a tea light stuck on a mini-bundt cake. 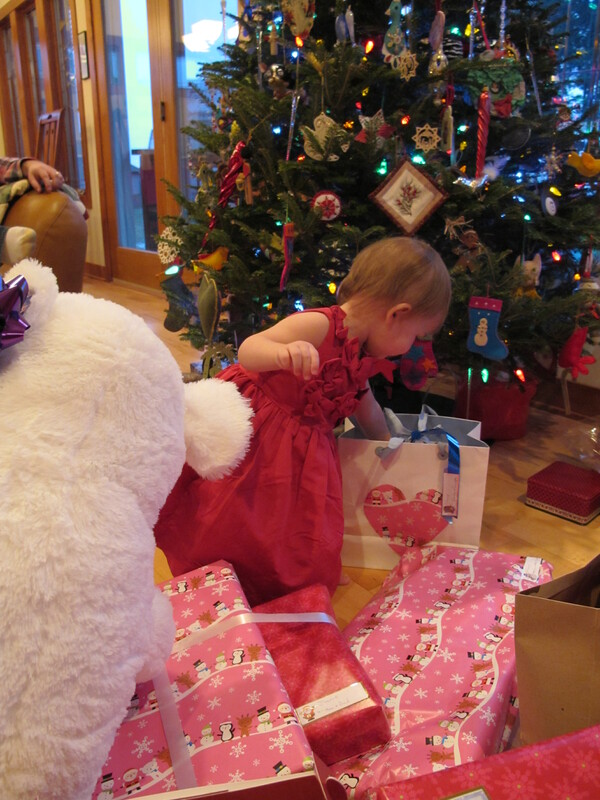 Lucy loved the presents. 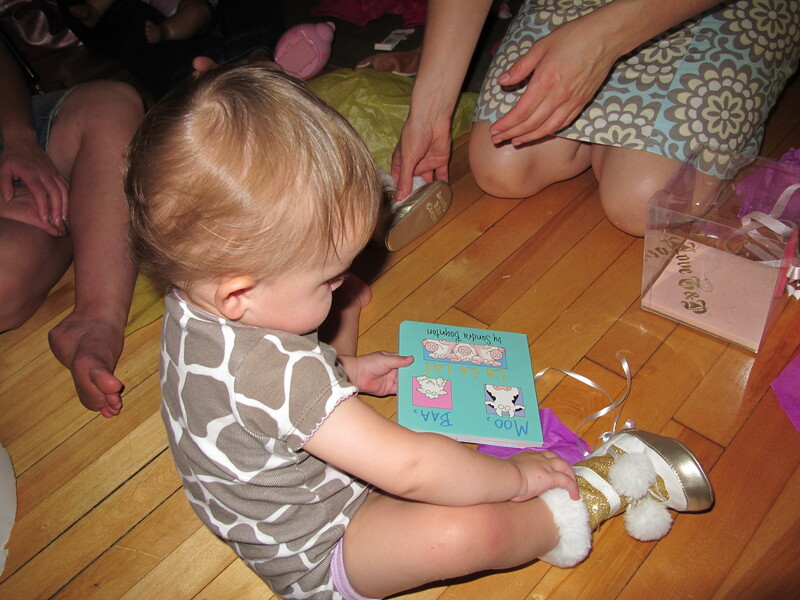 The book in this photo is from her Uncle Carl, the furry sparkle boots are from her Uncle Joe. 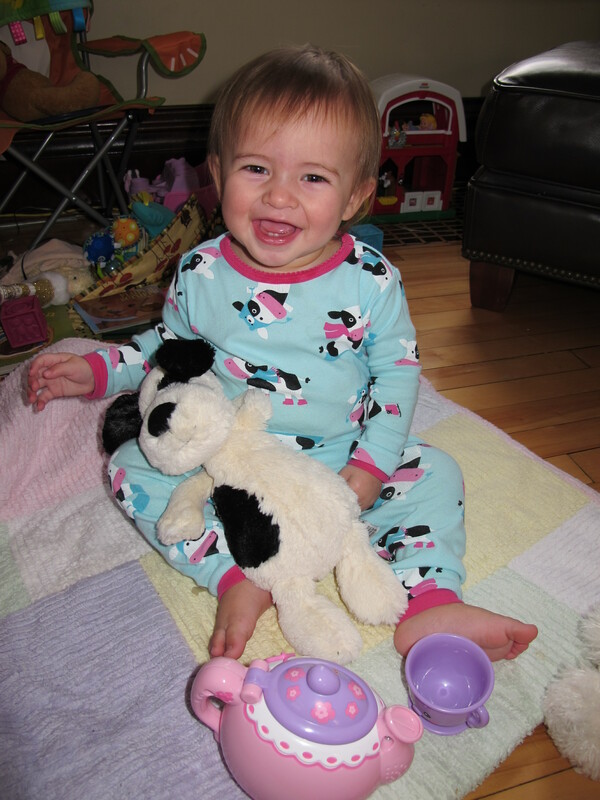 Happy Birthday my little Lucy! I love you so much. Not everyone know this, but I am ordained–therefore I can officiate weddings. 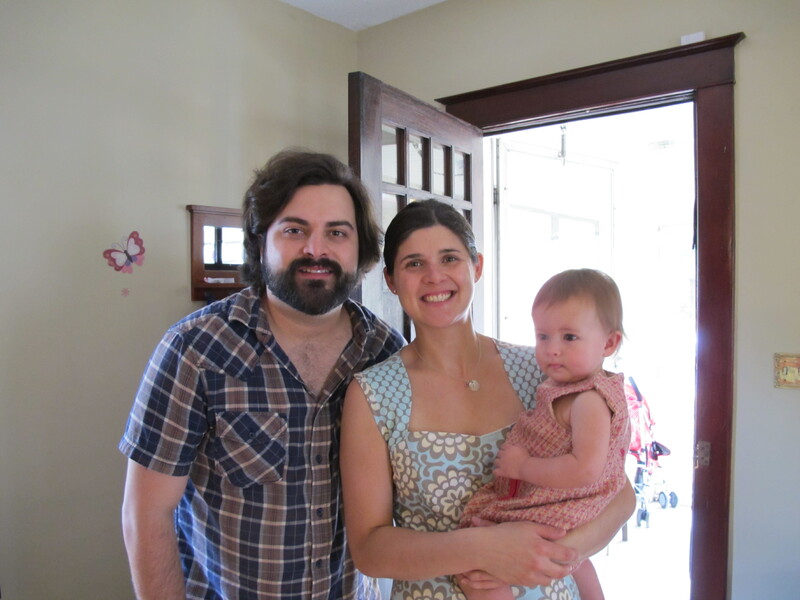 This past weekend the family and I went up to Bemidji to officiate my friend Joni’s brother’s wedding. 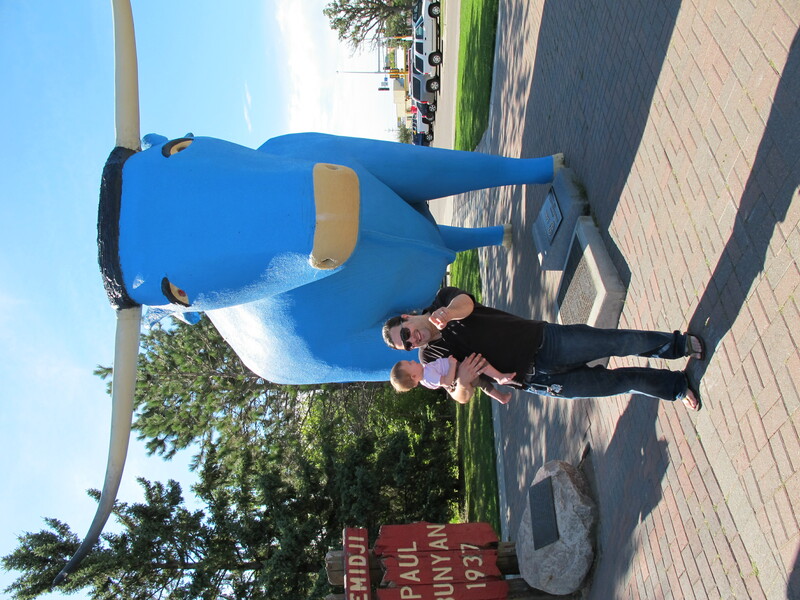 Bemidji is about 4 hours north of the cities, and none of us had been there before. We made a little vacation of it. One night at a hotel and one night camping. Lucy LOVED camping. It was pretty sweet. We headed up North on Friday morning. We stopped for lunch in a town called Little Falls. The town was not nearly as cute as the name implied. In fact, it was not cute at all. We ate at the Pizza Ranch, which is pretty much what you would expect from a buffet called the Pizza Ranch. Before this trip I was under this beautiful delusion that all small towns were cute and quaint. I thought everything was like Grand Marais (adorable town on Lake Superior, for those us you not from MN), with cute little shops and art galleries and candy stores. That is not true. 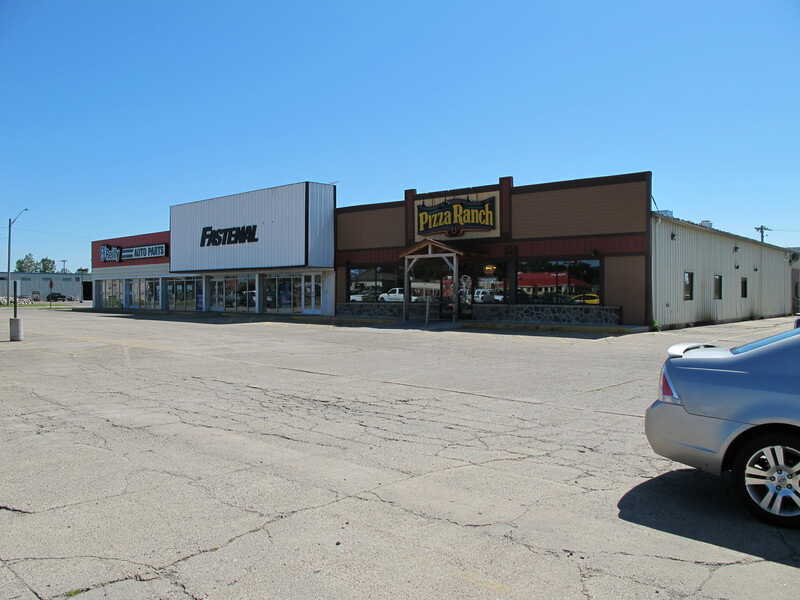 Small towns are more likely to consist of a huge Walmart and then pretty much nothing else. I was saddened by this realization. Oh the sheltered life I have lived in the city. Bemidji is actually a very nice town though. 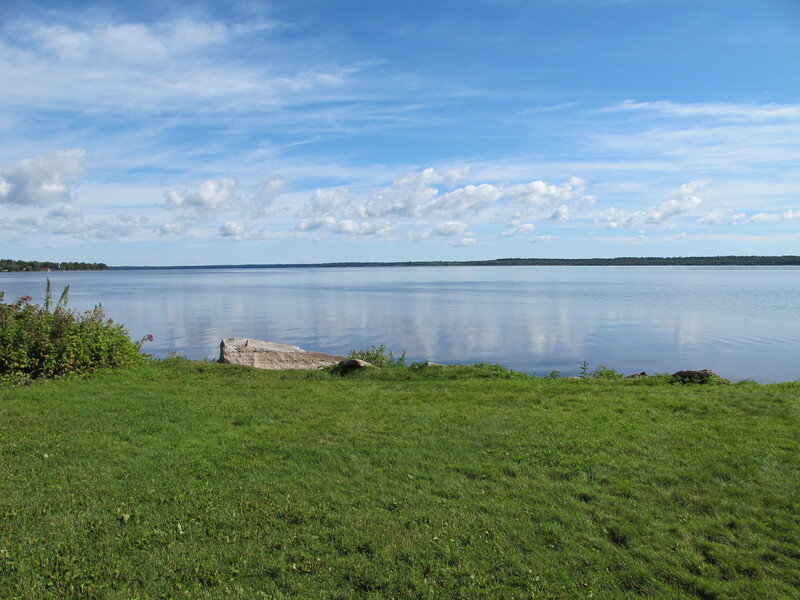 The lake, which is also the Mississippi river, is beautiful. We did the touristy stuff. 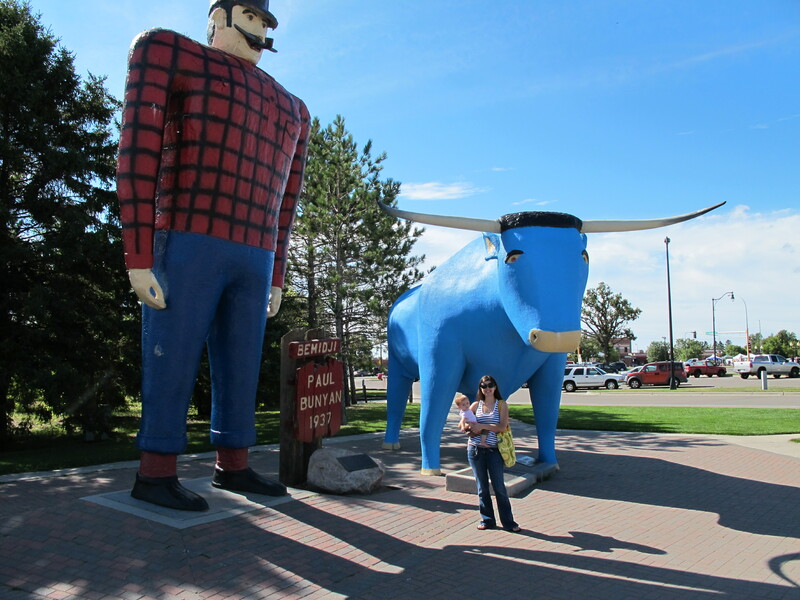 We took our pictures by Paul Bunyon. Speaking of Paul Bunyon, everything is Paul Bunyon up there. There are two Paul Bunyon streets–I mean main streets that actually intersect. It was a little confusing honestly. 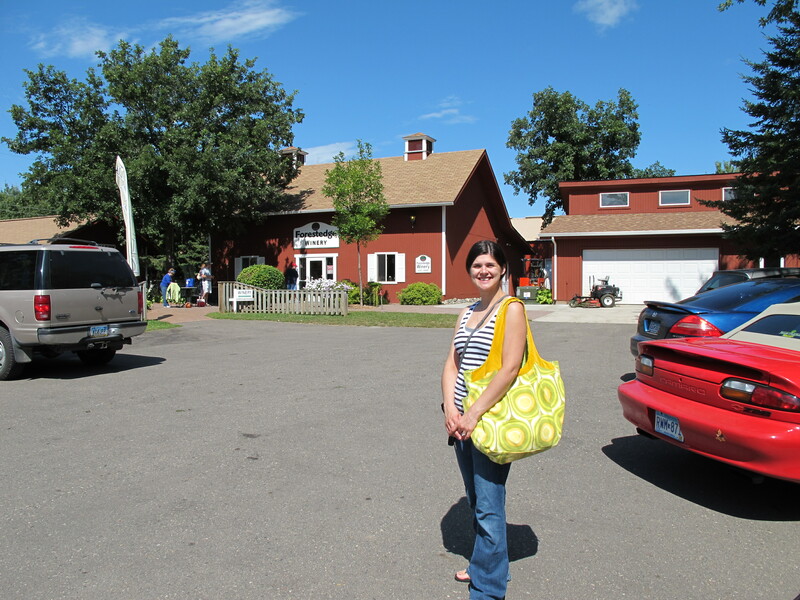 We stopped at a winery outside of town called Forestedge. It was all fruit wines, but some were pretty darn good. We got a Black Currant wine that I thought was excellent. After the winery we did the coolest thing of all. 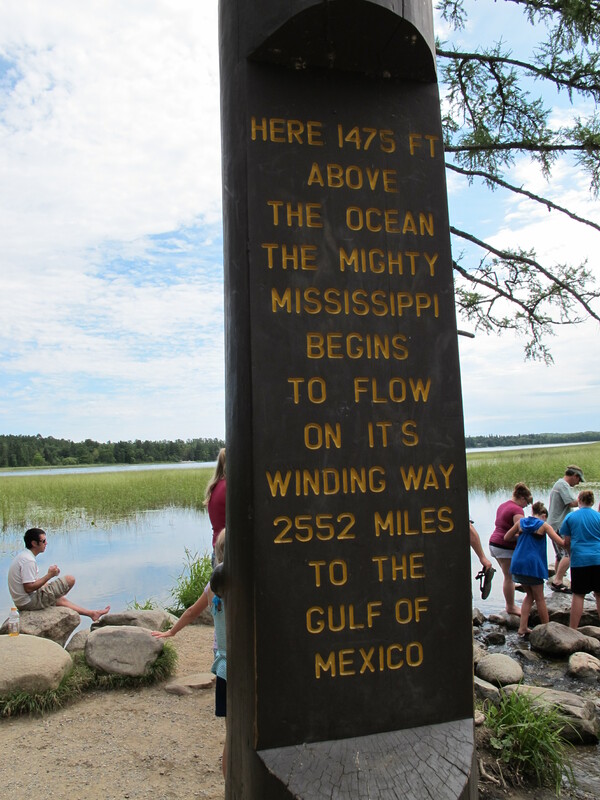 We saw where the mighty Mississippi starts. 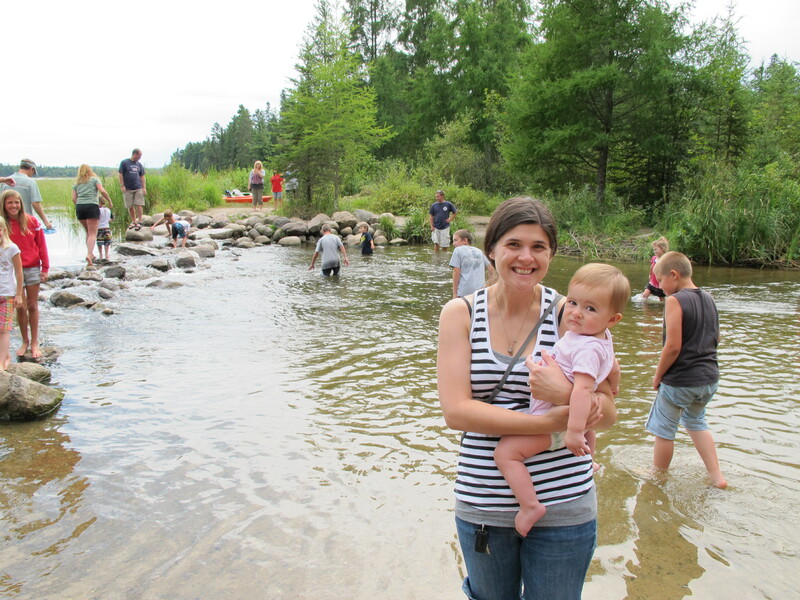 We headed to Itasca State Park, which is a very nice park. I would camp there instead next time we go up there. This was awesome. 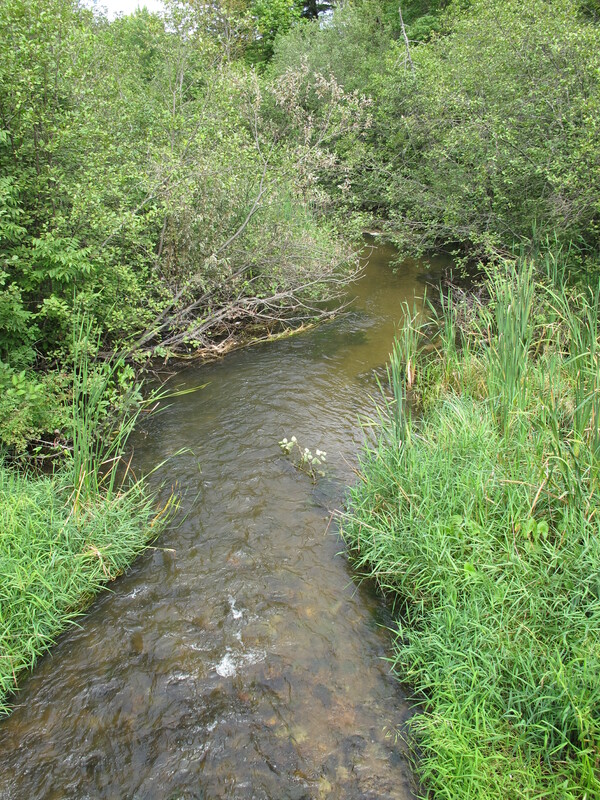 The Mississippi was this calm little stream that kids were playing in. We kinda want to see where the Mississippi ends sometime now. If you haven’t been to Itasca to see this, I think it is worth the trip. Yup, I am standing in the Mississippi River in this shot. And I would NEVER do that here in the cities. It was clean and pretty up there. 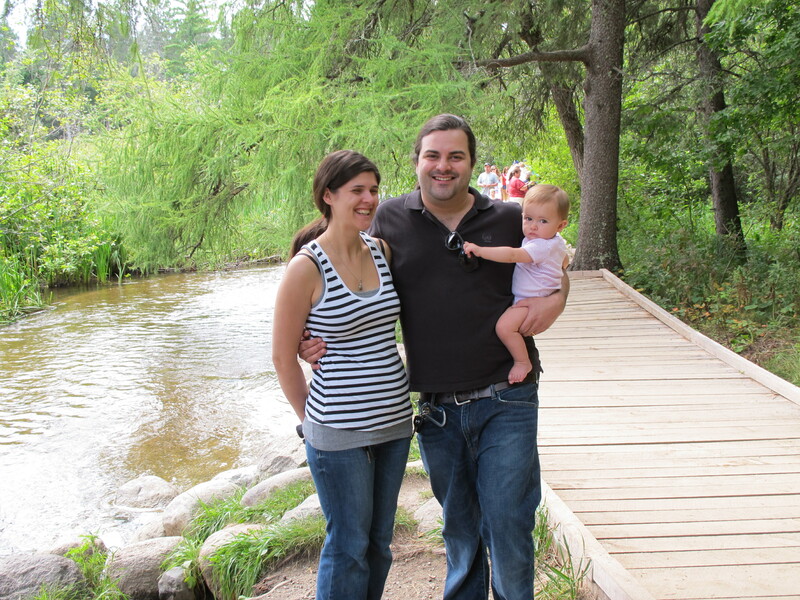 After Itasca State Park, I officated the wedding, which went well. I wanted some pictures of that, but Alec was busy with Lucy and didn’t get time to take any pictures. 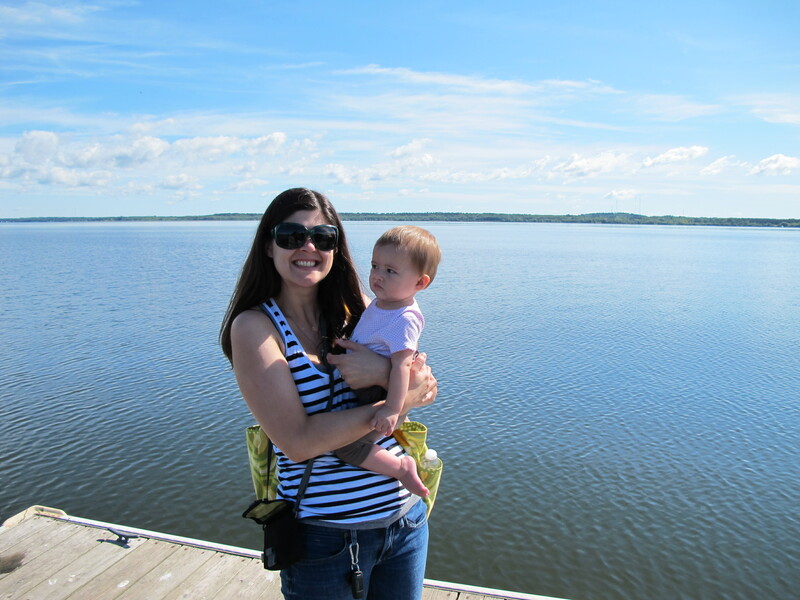 We camped that night at Lake Bemidji State Park. As I mentioned Lucy loved it. 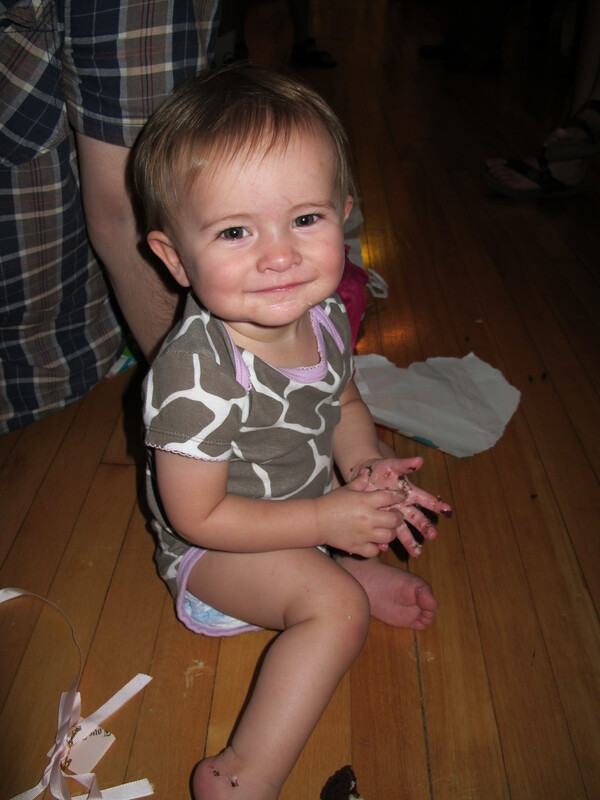 She crawled around the tent happy as can be. She liked sitting by the fire too. I feel bad we haven’t taken her camping yet before, and now the season is almost over. It was actually a cold for her (and me) this past weekend even. And that was our adventure up North. My husband loves pizza. I could probably make it everyday, and he would not complain. I have posted a pizza recipe before on here that I make fairly often. 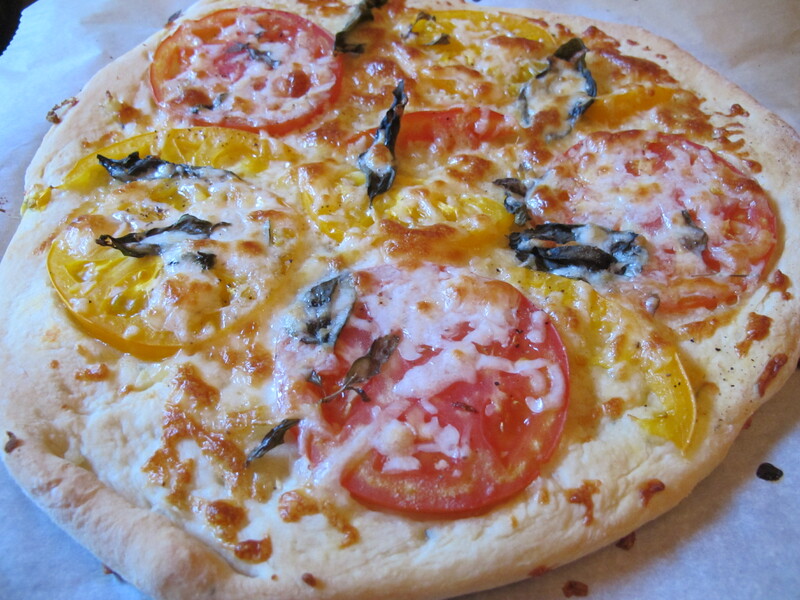 Last week though I was looking for a pizza that would be lighter and more summer-y. I decided to modify my normal pizza crust and cut down on the amount of cheese substantially. 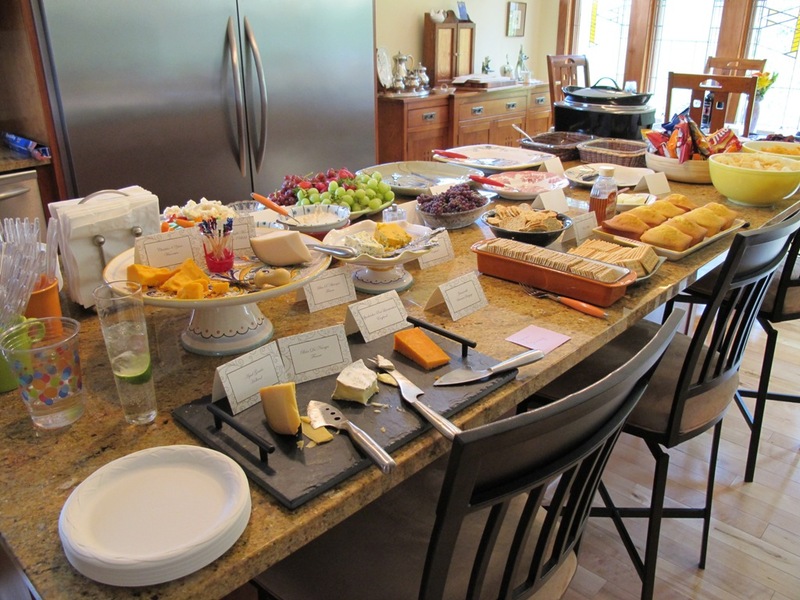 I made it for dinner last Friday for some friends of mine, and it went over well. I paired it with some ratatouille, but it would be good with a salad or on its own too. 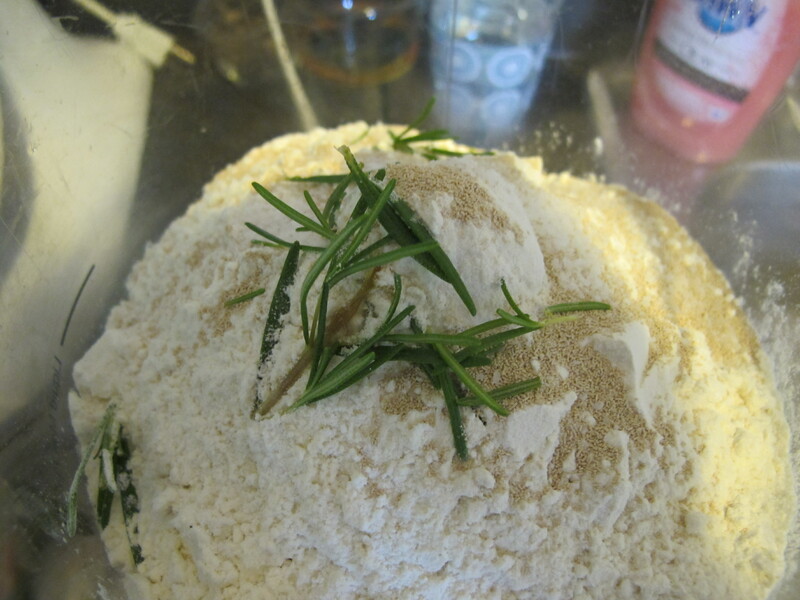 Mix the dry ingredients together in a food processor. While it is running add in the olive oil then the water. Take out of the processor, shape into a ball, and let rise for 1-2 hours depending on how warm it is in the room. 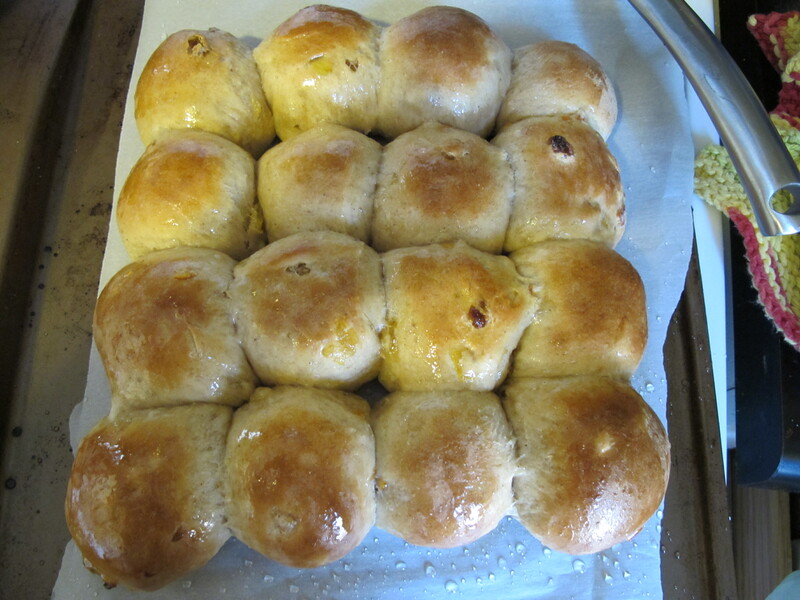 Once it is risen, divide into two and roll out into two rounds. 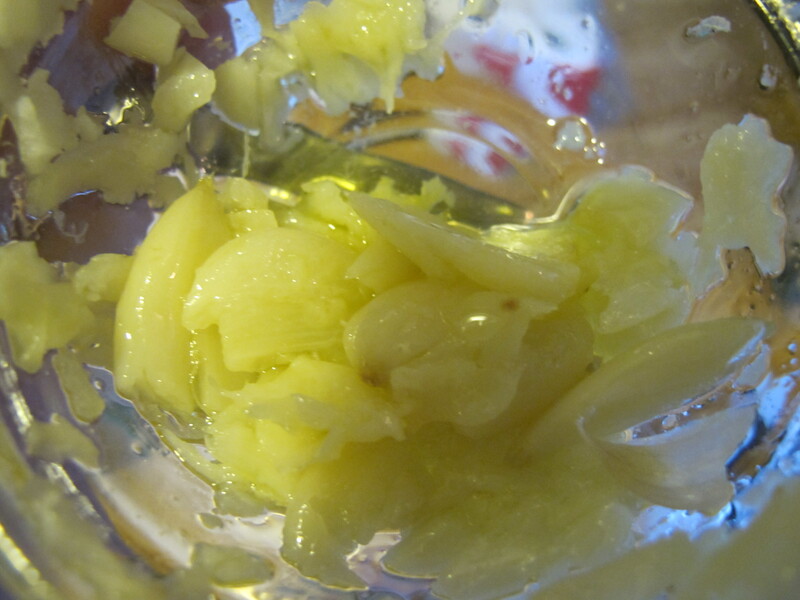 Put 5-6 cloves of garlic in the microwave for about 30-40 seconds. This will make the garlic much more mild. Put it threw a garlic press and mix with olive oil. Coat the crusts with a think layer of this mixture. Note: the first time I made this, I just crushed the garlic with a spoon (as seen above). The next time I put it through a garlic press. I would recommend the press for a more even garlic flavor on the pizza. I bought two nice big heirloom tomatoes at the co-op the first time I made this. The second time I used about 4 smaller tomatoes from my farm share. Just make sure that they are good and flavorful tomatoes. 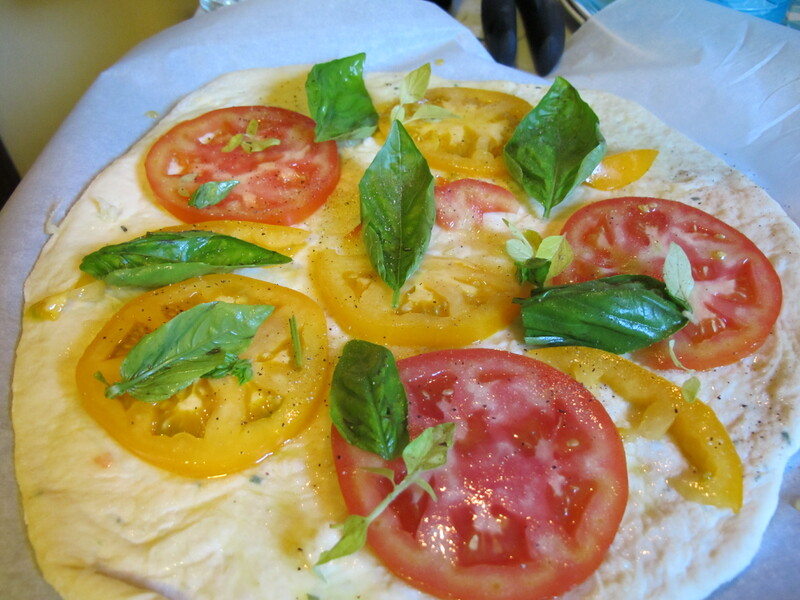 Cut into slices and top the pizza with them, fresh basil, and fresh oregano. 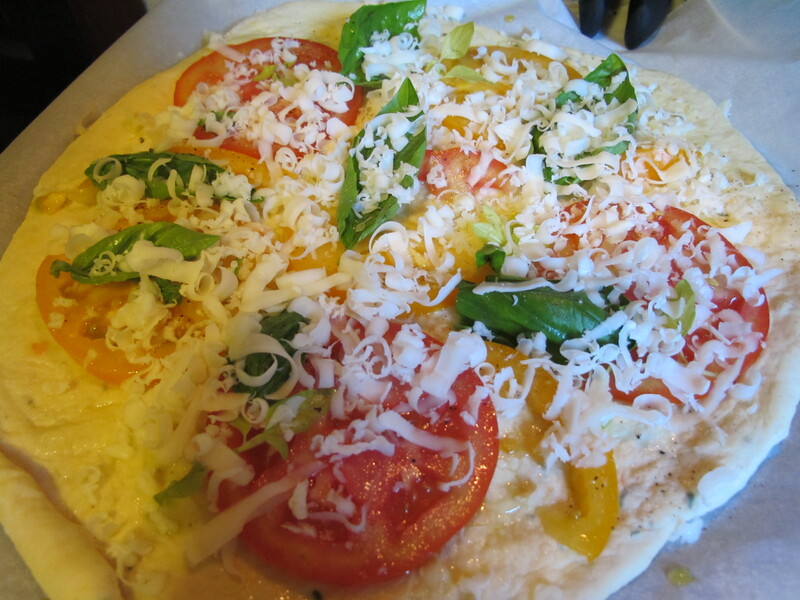 Sprinkle some mozzarella cheese over the tomatoes. I probably used about 1/2 cup of cheese per pizza round. You could use more or less depending on taste. The key is to have the tomatoes be the dominant flavor, not the cheese though. Put it in a 500 degree oven for 8-10 minutes. 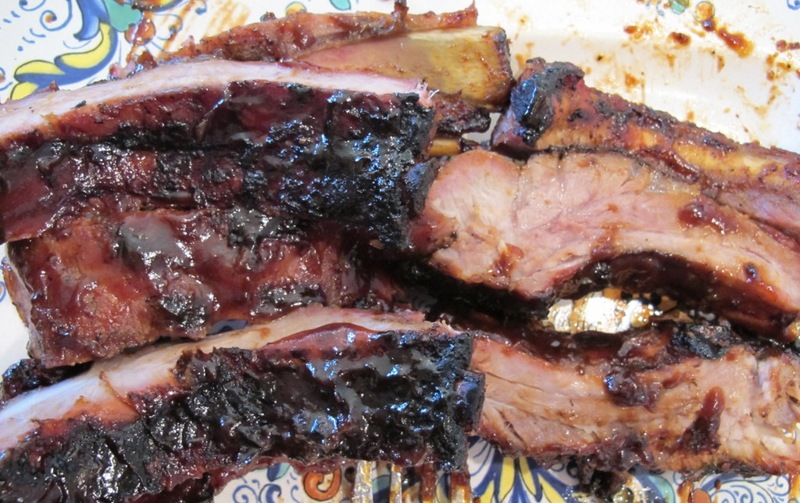 My dad has always been a master at making barbecue ribs. 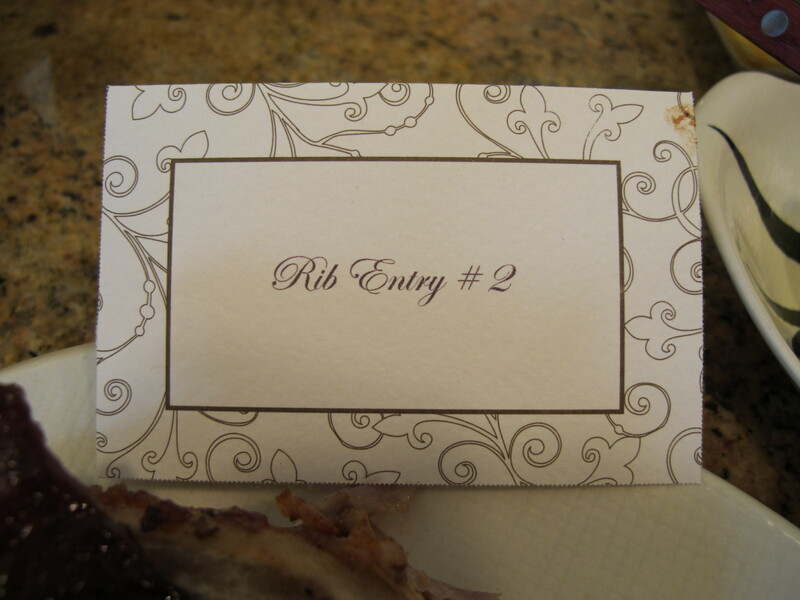 In fact, I would never get ribs out somewhere because they honestly do not compare. 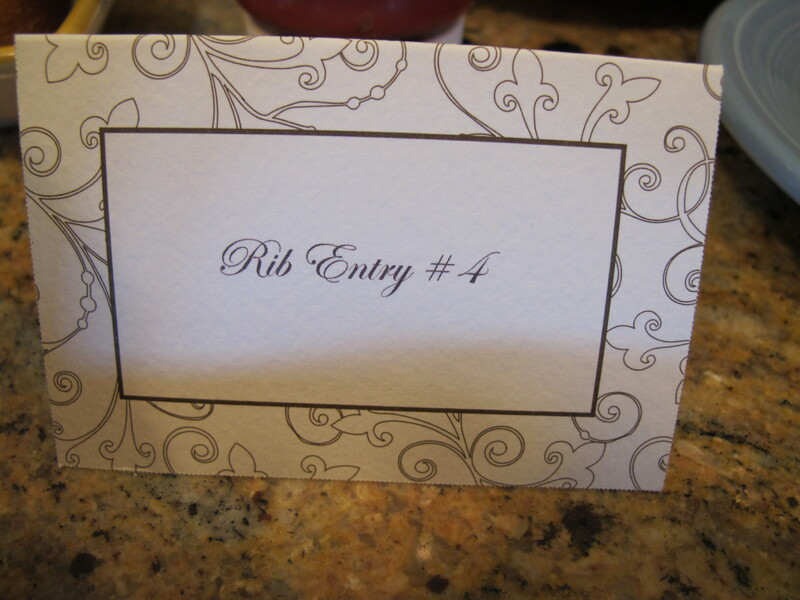 This year my parents hosted Rib-Fest with four rib entries. Honestly all were fabulous. 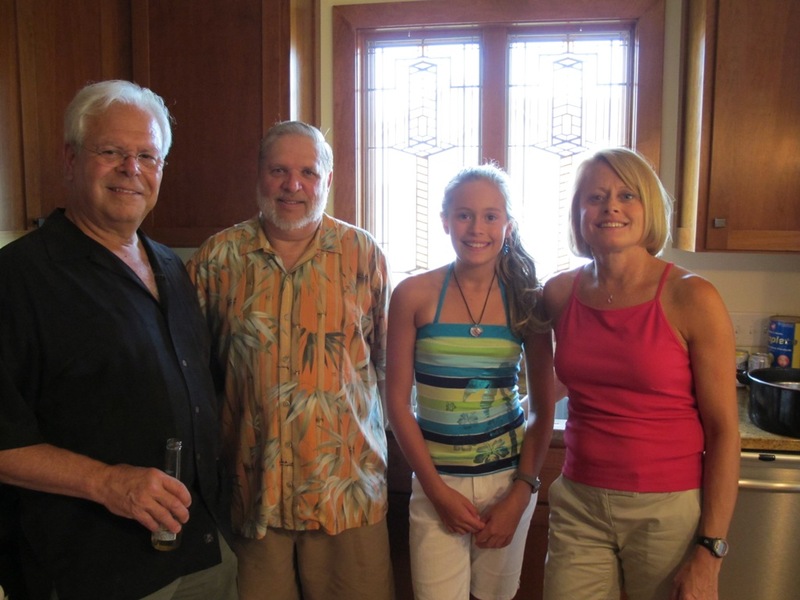 Here are the contenders, from left to right: Larry, Gary (my dad), Alysse, and Deb. 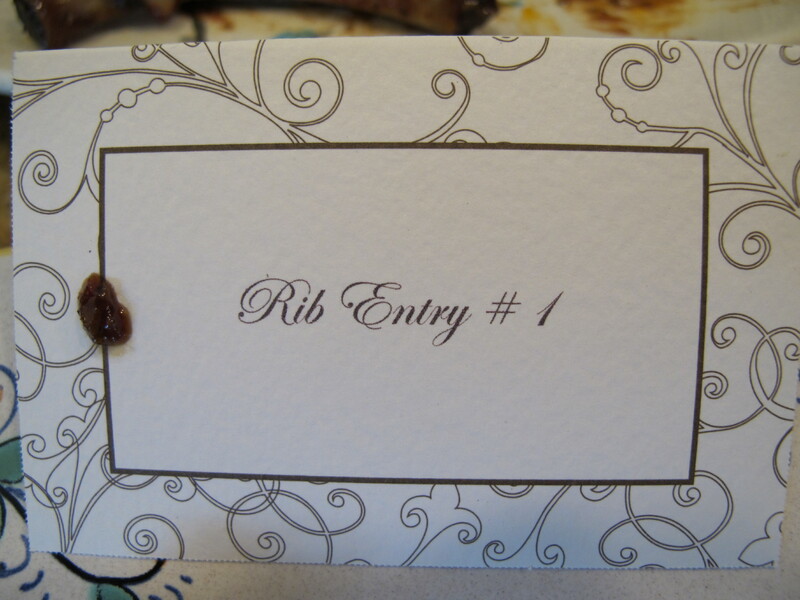 Entry #1 was a garlic rib from Alysse. The garlic was STRONG, but it was very good. Bring your mints along for this one! 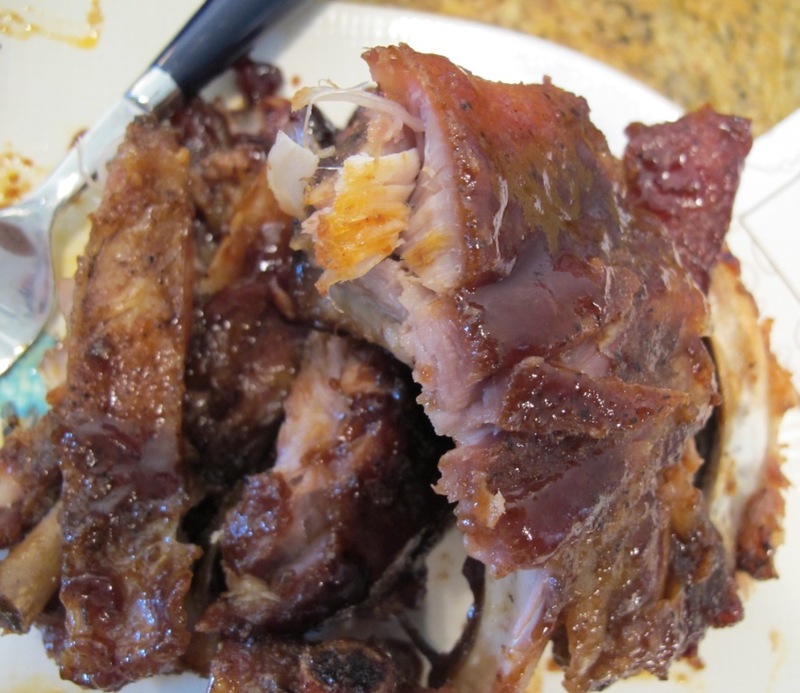 This apple glaze rib from Deb was literally falling off the bone. It was sweet and delicious. Entry #3 was from Larry. He was a smoker that he can apparently fit 6 turkeys in, and these ribs were prepared in that. 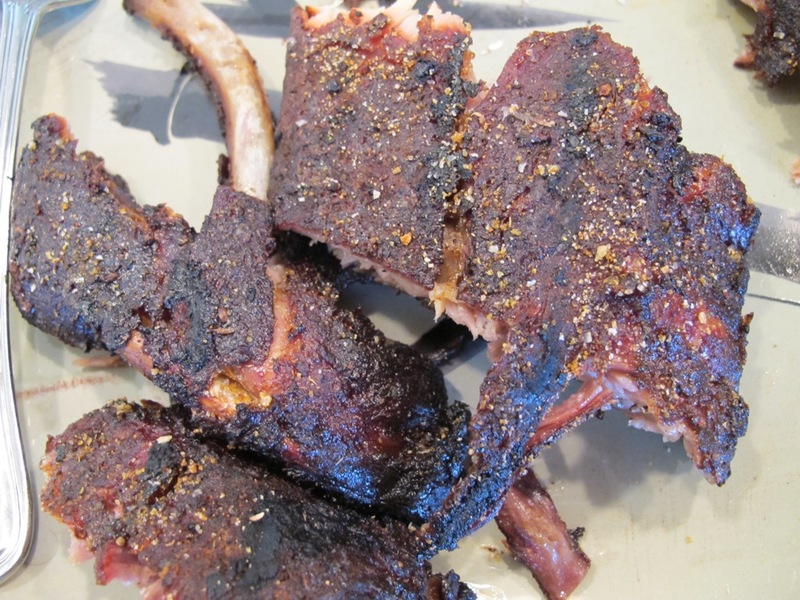 They had a dry rub, and they were very smoky and juicy. I would love to have some of these again. 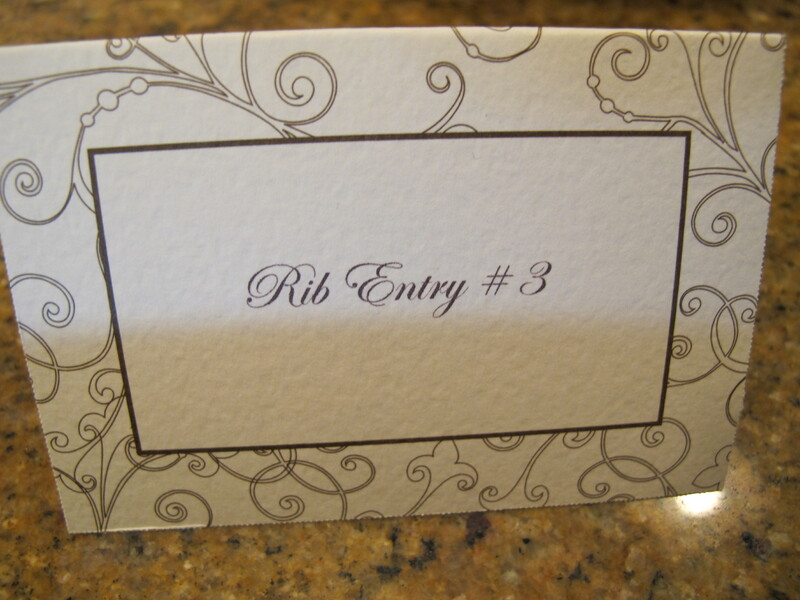 Entry #4 is my dad’s. 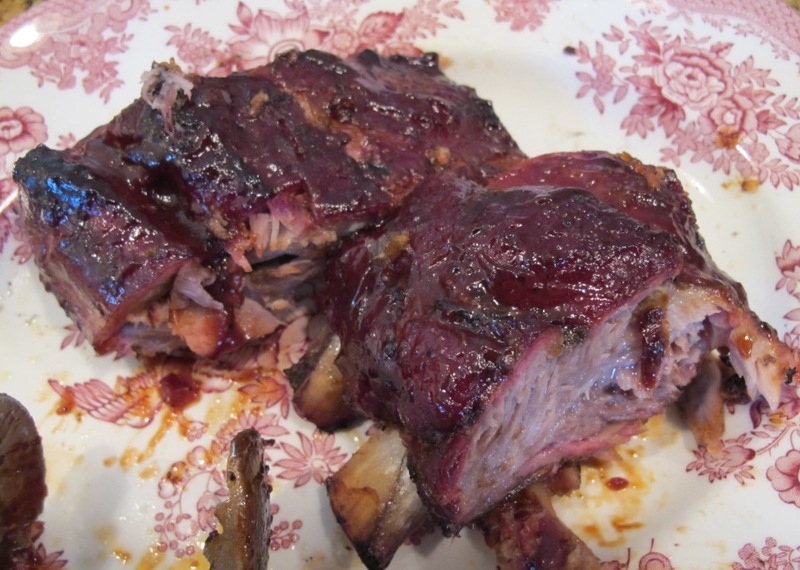 A classic rib that is prepared in I think about three steps. I will eat these any day. Well, no one could decide. It was a draw. Once again Anna and I went to our big box of old recipes from the 40s. As mentioned before, Anna bought these second hand, and we think they are from a church kitchen. The last two recipes weren’t so great, and we wanted to make something edible this time. 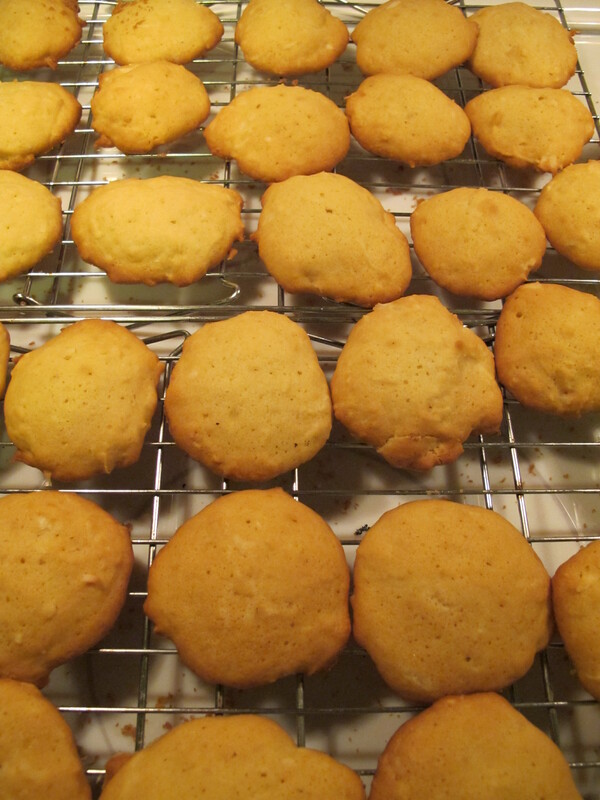 This recipe was actually labelled as cookies, but they weren’t really. They were much too cake-ish. 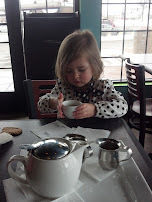 As soon as we started thinking about them as tea cakes rather than cookies, we liked them a lot more. This is the first Weird Recipes from Yesteryear that were not only edible, but pretty good. Put a little jam on them, and they are very enjoyable. That is the entire recipe. 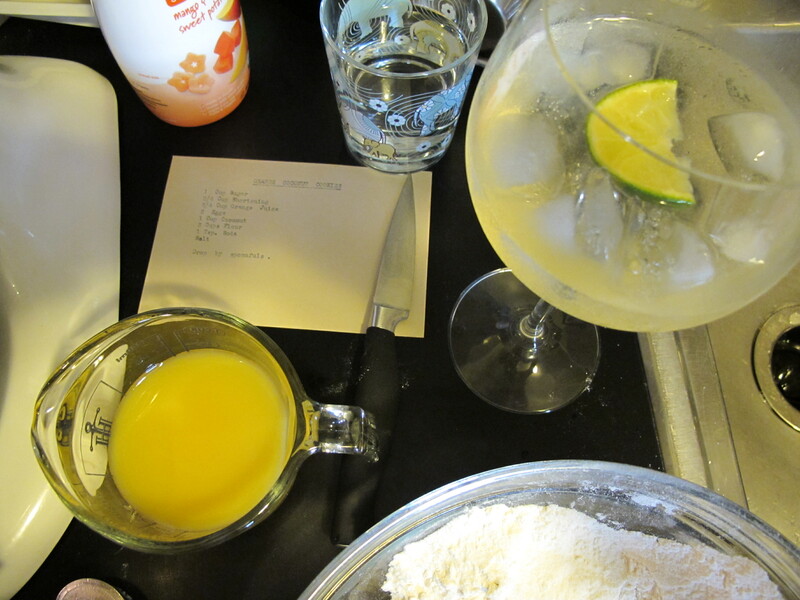 We mixed the dry goods, then set aside. 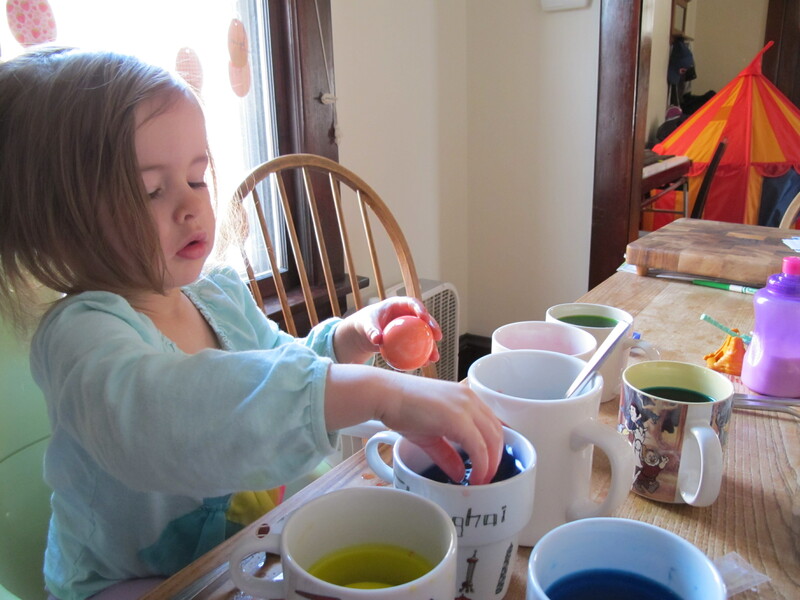 We mixed the wet ingredients, and then mixed the dry ingredients into that. Finally we added the coconut. This is a pretty normal way to make cookies, so I am confident that is what the recipe intended. As I said, they worked out well. Just think of them as little cakes–not cookies. 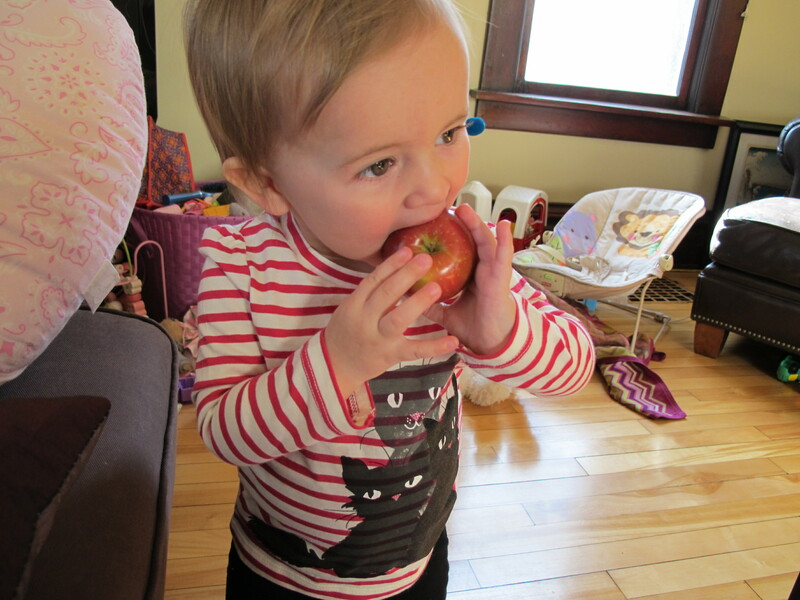 Lucy loved them, and also threw them around quite a bit. 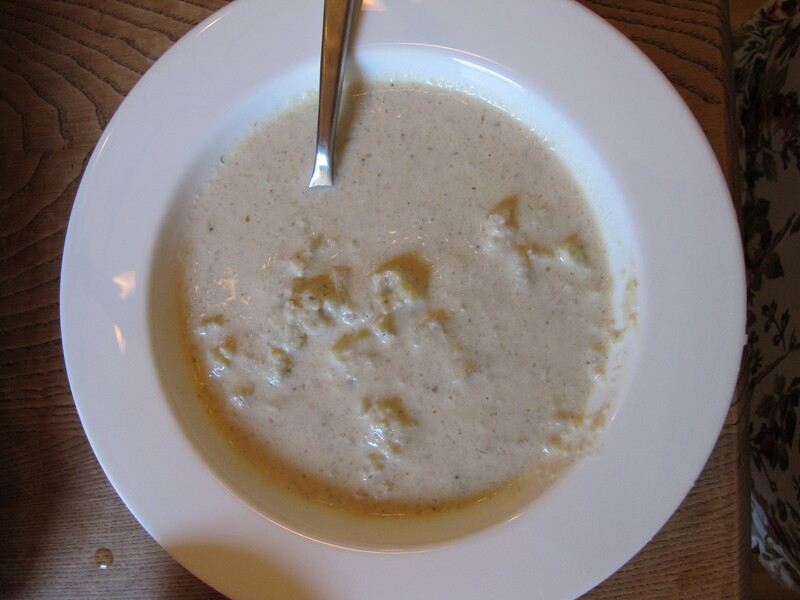 This soup is not actually French, but Soupe de Chou-Fleur sounds a lot nicer than Cauliflower Soup. I thought if I called it Soupe de Chou-Fleur people would be more apt to make it, which you should because it is really good. 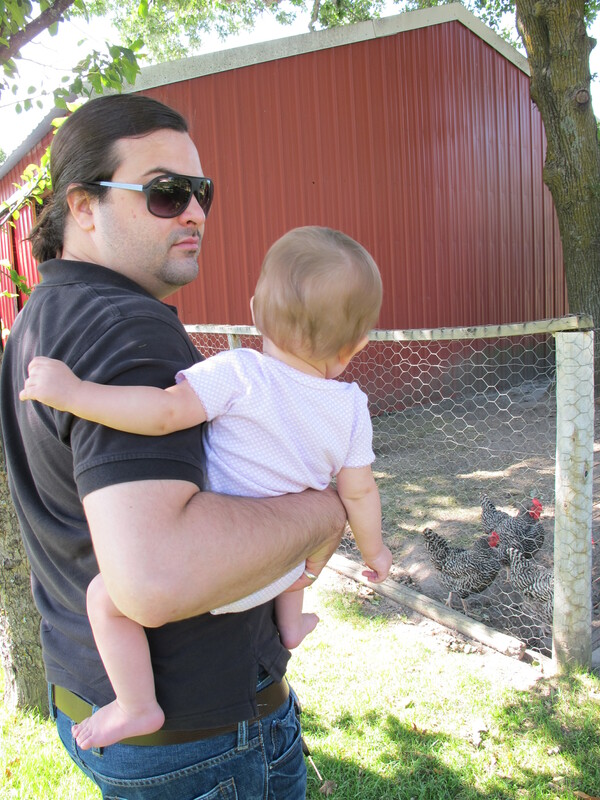 Alec and I split an organic farm share with our friends Anna and Chris. We love it! However, sometimes we end up with a lot of vegetable we aren’t sure what to do with. 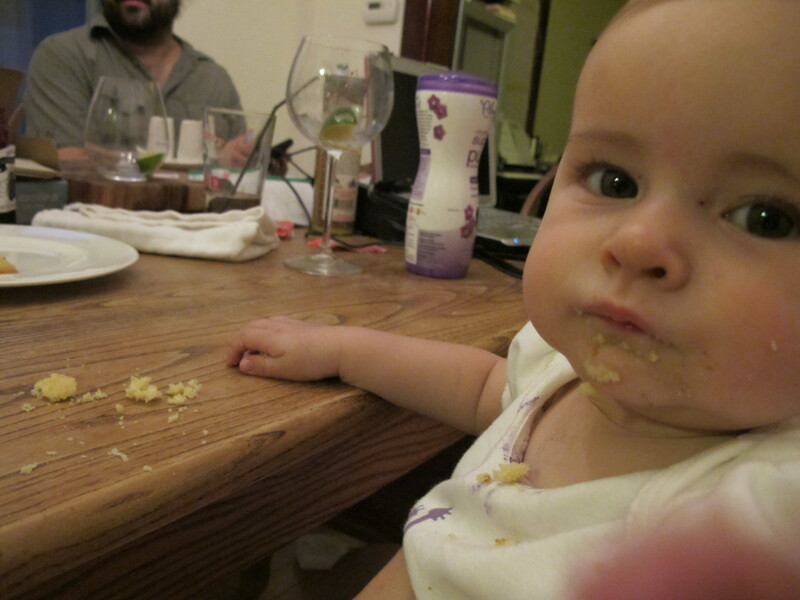 I like cauliflower, but I don’t love it, and I had a lot of it. Thus this soup. To be honest, I did not have high hopes, but I liked it a lot. Cut the cauliflower, shallots, onions, and garlic. 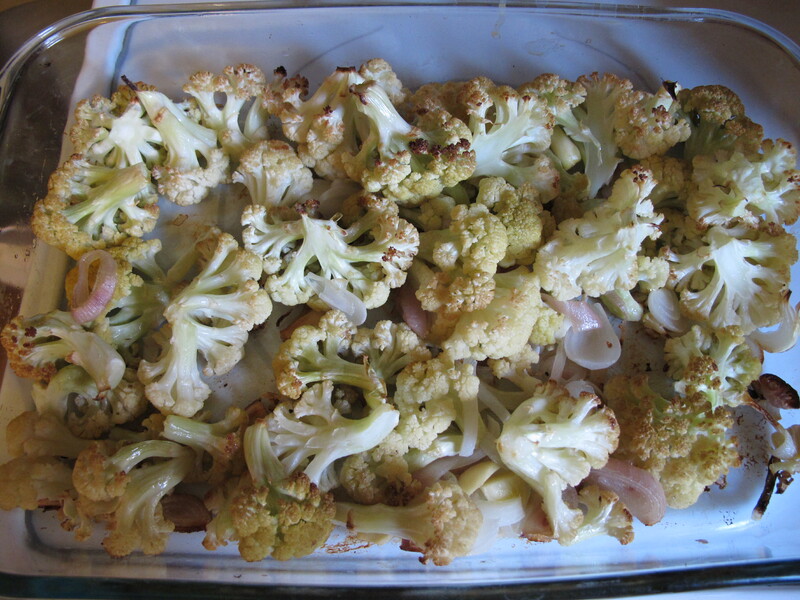 Toss in olive oil and bake at 350 for about a half and hour or until the vegetables start to brown. They will smell great. 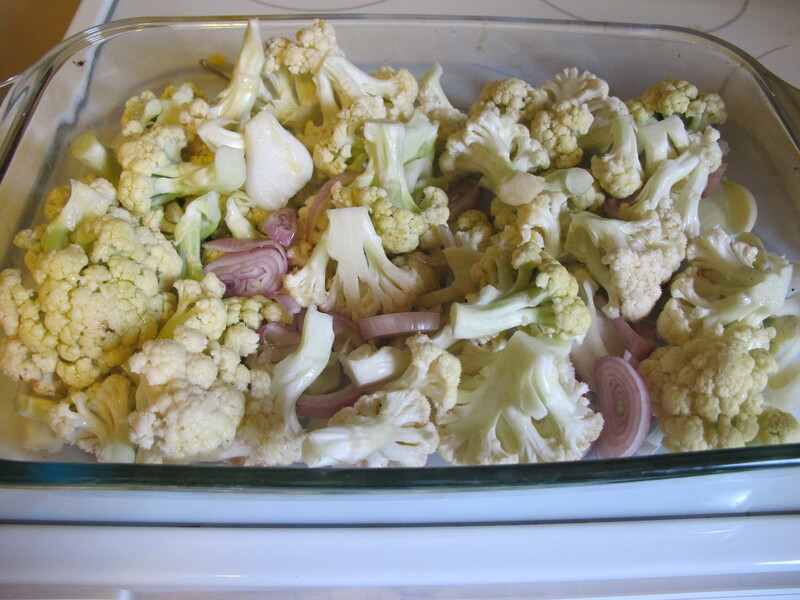 The above pics are the veggies before and after they have been baked. Put the roasted veggies in a big pot–I used my cast iron dutch oven. Add the three cups of chicken broth, the water, and the herbs. Salt and pepper to taste. Bring to a boil, then drop the temp to a simmer. 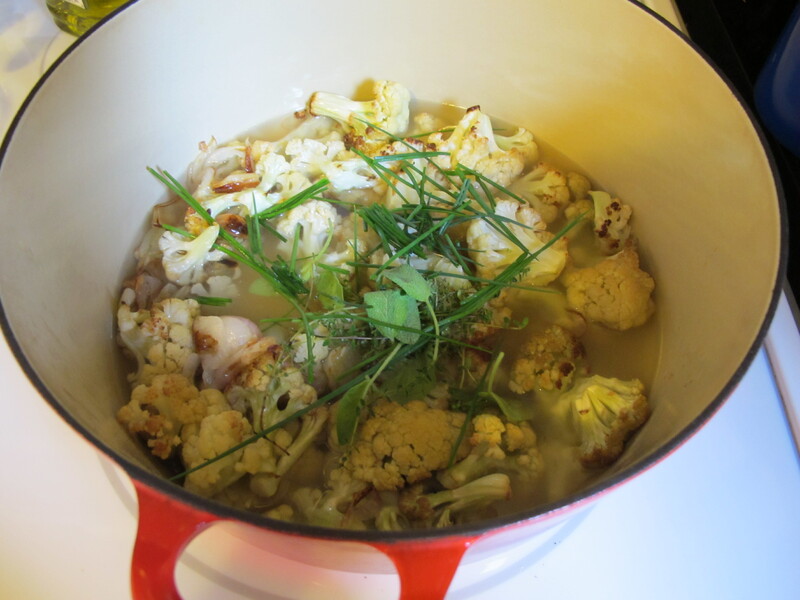 Let it simmer for about a half an hour, or until the cauliflower is nice and tender. 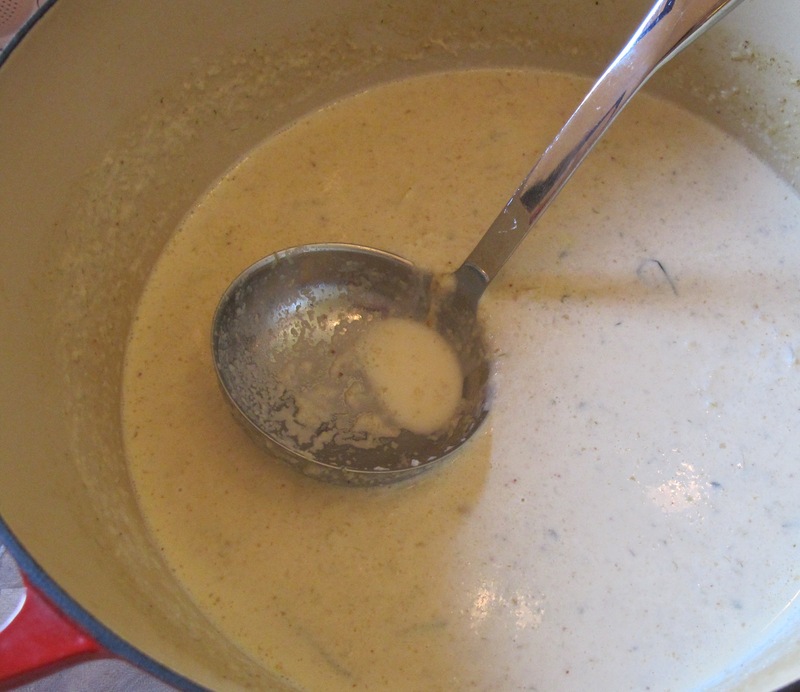 If you have an immersion blender, use that to blend the soup to a nice think consistency. If you don’t have an immersion blender you can use an actual blender. Add the cup of cream and pull off the heat.